This review is part of the Monthly ABC Film Challenge over at Movie Reviews 101. This month’s theme is Favorite Films of 2018. If you’re interested in taking part, feel free to contact Darren. Tnx for letting me take part Darren! Here‘s the link to the original post. Brief Synopsis – A young scrounger tries to find a way to survive on the streets of the crime ridden planet of Corellia in the hope to eventually reach the stars. My Take on it – When Darren informed me of this month’s topic, this was another film that immediately popped into my head as being among the best of the movies released in 2018. I have always been a fan of everything Star Wars and I have loved every one of the films that they have made (besides the Star Wars Holiday Special (1978) which was terrible). This film is a great addition to the entire SW universe because it allows us to see the origin of an extremely important character who is not part of the Skywalker lineage. We get to learn so much about how the character of Han Solo came to be based on his early life. They do a great job explaining his origins along with giving us enough explanations about his various character traits and how they became to be over the years. It may seem to some that they cram in way too much, but that’s the point of an origin story especially when you know that you probably will only get one chance at doing one. There are some amazing action scenes in this film and is probably one of the most action packed films of the saga (to date) because we get to see so many varying kinds of action scenes that show different aspects of the kind of world a smuggler could live in. The special effects are superb and they do a wondrous job transporting us to that Galaxy Far Far Away even if things are a bit different from what we have been used to in the past. Ron Howard does a great job directing this film and keeps things so thrilling the entire way through. The choice to keep the Jedi out of this film’s story works really well in order to give us a look at other things in this Galaxy that are both related and unrelated to everything we already know about it. 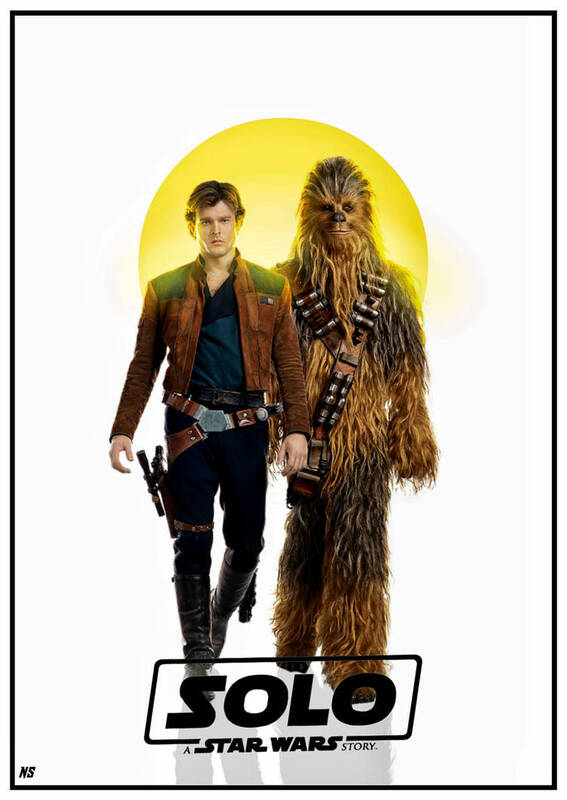 The cast of this film is great and Alden Ehrenreich does an amazing job both imitating the past performances of Harrison Ford in the role while at the same time bringing a youthful and inspirational interpretation to this role. The rest of the characters all help keep things quite enjoyable throughout and all play the parts of the story really well in order to help create and transform this character into the smuggler we all love so much and who might be one of the original trilogy’s best characters. This is a film that will be quite high on my list of Favorite films from 2018 and even though Ive seen it 5 times in just 9 months, I can’t wait to see it again soon. Bottom Line – Such a great new addition to the Star Wars Universe. WE learn so much of how the character we all came to love came to be. This is a fun origin story because they cram in so much of the traits that we already know about yet still give us reasons for those traits becoming a part of this character. The action scenes are presented in a really thrilling way and Howard does his best to give us such a great ride along the way. The special effects are also great and immediately get the viewer into the mood of the Galaxy Far Far Away. Love the fact that they felt no need to bring the idea of Jedi into the story and only occasionally mention the Empire itself which allows for us to see other aspects of this Galaxy that are bit related and unrelated to everything else we already know. The cast is also great and Ehrenreich does a great job of imitating Ford while also bringing his own interpretation to the role. The rest of the characters all fit into place really well here and help give us such a fun and enjoyable chapter in the life of one of the original trilogy’s best characters. Will definitely be quite high on my end of year Top Ten List. Highly Highly Recommended!